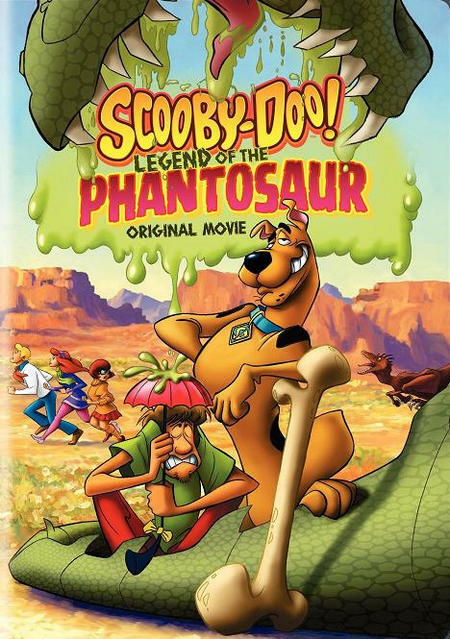 A relaxing spa getaway evolves into a prehistoric panic when Scooby-Doo and the gang uncover the horrible Phantosaur, an ancient legend come to life to protect hidden treasures buried in secret desert caves. But this scare-a-saurus doesn’t stand a chance with Shaggy(voiced by Matthew Lillard of the live-action Scooby-Doo theatrical movies) around, after he finds his inner hero with the help of new-age hypnosis. Like, it makes him more brave and less hungry! With colorful suspects, including a free-wheeling motorcycle gang, greedy corporate investors and over-zealous scientists, there’s more pieces to this mystery than slices in a pizza! Settle into your mudbath and let the Mystery, Inc. gang unearth a ton of fun for the whole family!